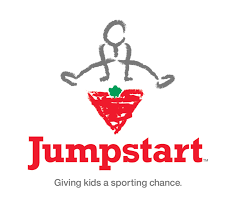 The Canadian Tire lead “Jump Start Program” developed a new on line course addressing working with children of different abilities and special needs – both medical and social. Certified NCCP coaches can claim it for Professional Development points in a self-directed activities. The International Judo Federation just informed us that as of January 1st, 2019, the (U21) Junior Weight Divisions of -44 kg Female and -55kg Male are no longer included in the IJF Standards. Please distribute this information to all athletes and coaches who may be affected by this development. Considering the fact that Judo Canada sporting season (September 1st to August 31st of the next year) is not consistent with the IJF season (January 1st to December 31st), Judo Canada will not modify our domestic tournament standards for 2018/19 season. However, junior athletes competing in the junior -44 kg female division and -55kg male division, will no longer be considered for selection to international events. Decision on this development and its impact on Judo Canada domestic standards will be made by Judo Canada’s Sport Committee and will be reflected in the 2019/2020 Judo Canada Tournament Standards Policy. 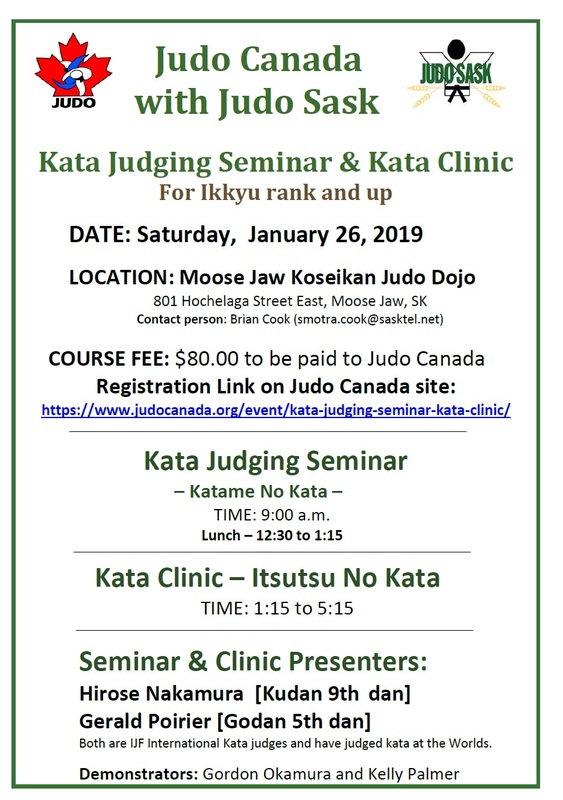 We are deeply saddened to advise that Judo Alberta Life Member Wally Litousky passed away at the Kipnes Centre for Veterans on Saturday, January 26, 2019. Wally was truly passionate about the sport of judo and will forever be remembered in the Judo Alberta community for his accomplishments and legacy left behind. In 1955 at age 17 Wally joined the Royal Canadian Air Force. After boot camp and trade school he was sent to RCAF Base McDonald Manitoba where he and friend Kenny Greer started a judo club, learning most of his technique from a Kodokan book. This club later expanded and moved to Portage La Prairie, Manitoba. In 1958 Litousky was posted to Germany and trained at the 4 Wing Baden-Baden judo club. In 1960 Judo Ontario’s Masao Takahashi was transferred to Baden-Baden base and between the two judo fanatics, the sport spread like wild fire. With Takahashi, Litousky visited many European judo clubs. In 1962 he was transferred back to RCAF Station Cold Lake where as a green belt he opened another club. Again, after only three months, he was re-deployed to Germany where he was stationed until 1968. During this stint in Germany he was promoted to Shodan. In between Judo and his career as a weapons technician, he also found time to marry his sweetheart Liz, whom he met in Canada but didn’t hook up with until 1964 in Germany. Upon his return to Edmonton he ran the CFB Edmonton which, under his management, measured the highest base membership ever. The years of 1968 & 1969 were great years for Litousky as he won the provincial championships and fought at Nationals in Lethbridge. After suffering a serious work related back injury, Litousky retired from competitive judo in 1976. The injury, although debilitating, did not extinguish his passion for the sport as he continued to volunteer countless hours to coaching and refereeing. Following his retirement and a move from Cold Lake to Edmonton, Litousky hooked up with brown belt Yvonne Bedard whose keen interest to start a club pulled him back into the fold. The popular CFB Edmonton club opened in the fall of 1980 with membership of civilians and military alike exceeding 80 in some years. Litousky sponsored the club until 1983 when Bedard met an untimely passing from cancer. Following Bedard’s death, Litousky renamed the club North Edmonton Judo and became the club Sensei. 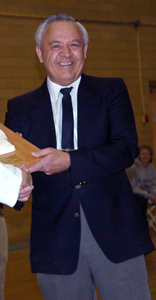 Under his direction, the club achieved great success sending many athletes to national level events. EYJS co founder Gil Hachey fondly recalls traveling around the province with Litousky to sport outreach clinics. “We would go to the outlying clubs in Grande Prairie, Cold Lake…sometimes towns requested us and we would just go”, Hachey said, of teaching the sport to members and non members alike. “Wally used to hold the biggest tournament out of the Greisbach facility”, Hachey said, adding that over 350 athletes from northern Alberta would gather to compete in the annual event. 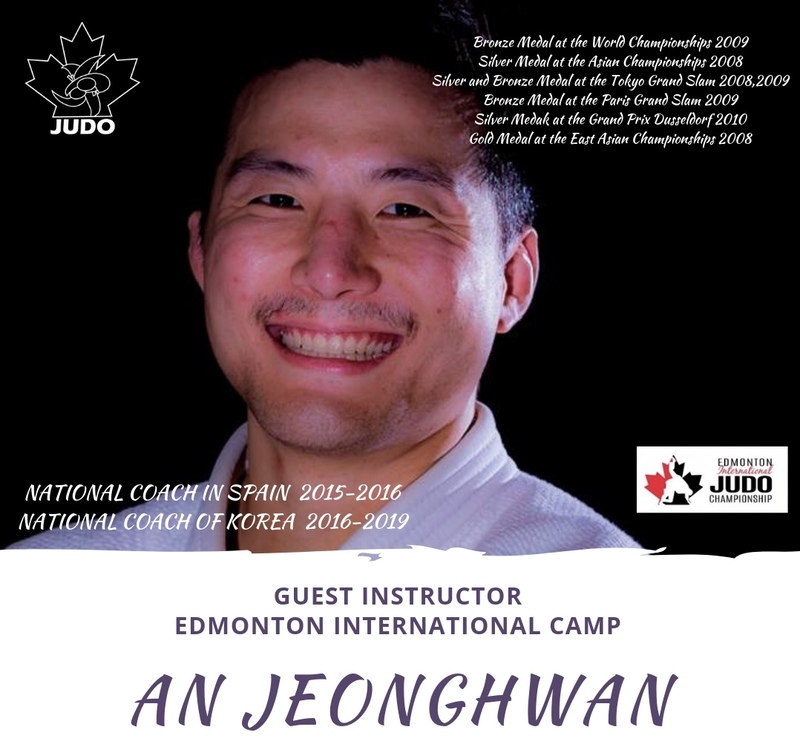 And when the North Edmonton Judo Club closed in 2005 for redevelopment of the Greisbach property, Litousky quietly sold his equipment and joined the St. Alberta Judo Club who welcomed him with open arms. supported the growth of the sport in Edmonton. A service for Wally will be held on Monday February 4, 2019 at 2:00pm at the Trinity Funeral Home (10530-116 street) in Edmonton.